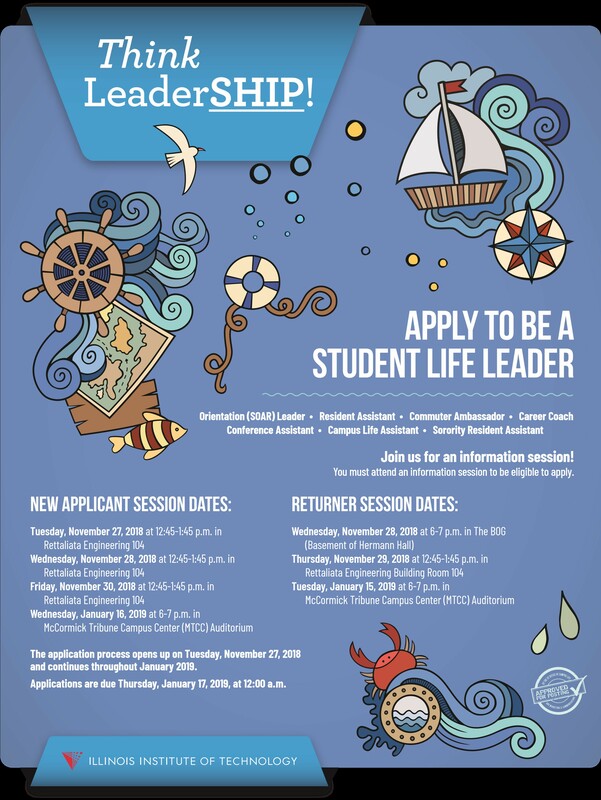 Applications are due by Thursday, January 17, 2019, at 12 a.m. Apply online. If you have any questions, email sll@iit.edu. Stay up to date about information sessions and the selection process by visiting the IIT Campus Life and Illinois Tech Residence and Greek Life Facebook pages.